and breathed her last lying in my lap. June, who was with me for 43 years, was gone. 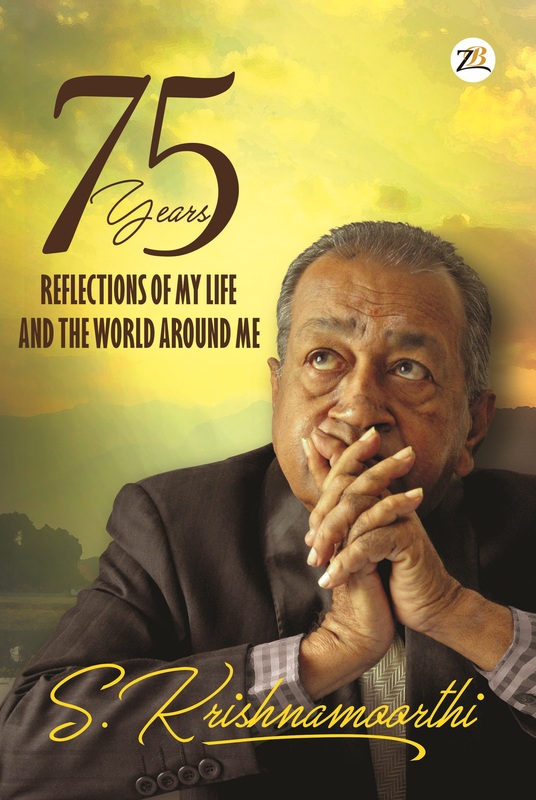 1943 to 2018: While the world grew smaller with technology and globalisation, torn apart by wars, humanity sought to conquer other planets, and India’s identity transformed, this man experienced it all, as he made his personal trysts with destiny. The world changes, people forget. But his unending love made him pick up the pen and immortalise the memories of his journey and of that happening around him. In here, there are accounts of everyday ordinary existence with extraordinary meaning. It is your story and my story. It speaks of happiness and sorrow, achievement and failure, laughter and tears, war and peace, victory and defeat, discovery and destruction. It is the story of a life well lived, love without boundaries, and inevitable death. S. Krishnamoorthi was born on August 24, 1943 and brought up in Tiruchirappalli, Tamil Nadu, India. He has a Master of Engineering Degree in Hydraulics and Hydraulic Structures, Indian Institute of Science Bengaluru (Bangalore), India. In addition to his illustrious teaching career in Civil Engineering for 50 years, he is also a good researcher and an able administrator. He received a Certificate of Merit from the All India Council for Technical Education for his finding that non ponding irrigation and sewage effluent irrigation for paddy (rice) can be practiced to conserve natural water. A wide coverage of a National seminar on Water Harvesting, a first of its kind, conducted by him drew the attention of various governments and recommended water harvesting practices to be enforced throughout the country. He is a lover of sports and games and he has won an international prize against Sri Lanka in the game of Bridge. He sparked a revolution in 1967 when he married an Anglo-Indian Christian girl, June in a self-respect marriage ceremony. Even though he lost his father at a young age, he was well taken care of throughout his life. He is a staunch believer in God and Miracles. At present, he lives with his daughter’s family in Gurgaon. Heartily congratulation Prof S. Krishnamoorthi written the book. This book as very constructive how do interacting others in working academic Environment.